My 7 year blogging anniversary is coming up. I cannot believe it. Time has flown by!!! I created this blog back in 2011 at a friend’s suggestion (read my first post here). Fun fact: It actually had the super long and ugly name of femmefataleconqueringamarathonwithp90x.wordpress or something crazy like that in the beginning! Lesson learned: always give your blog name some thought before creating it (and make it easy for people to remember!). My goal for this blog in the beginning was just to document my journey completing P90X while also training for a marathon. Over the years the vibe has shifted and changed as I have grown, changed interests, from P90X graduate to marathoner to Ironman to BQ seeker to first time mom to Beachbody coach to now twin mom! What never changes is that I truly love to write and that I’m always open and honest with my readers. I never set out for this blog to be a money making machine via advertising or sponsored posts and I didn’t spend a ton of time promoting or marketing myself for many years. I just loved to write and those who want to come to me for that are welcome! What I did always secretly hope was that spreading my love of health and fitness and making a “name” for myself in the fitness world, even if it’s just a tiny name, would help me find a career I am passionate about. As you may or may not know, I started my career in public accounting, getting my CPA license, working for a Big 4 accounting firm and then quickly realizing that although I love numbers, spreadsheets and data, I don’t love accounting. I had a few jobs post public accounting and settled into finance, which was definitely the most inspiring and interesting of my jobs. But that job also was demanding, inflexible and stressful much of the time, even if it did pay me the big bucks. As my love of fitness grew after college, I even looked into becoming a personal trainer or fitness instructor, but I quickly realized that those jobs weren’t very flexible either – you were at the mercy of your client’s schedule and would work a lot of nights and weekends. 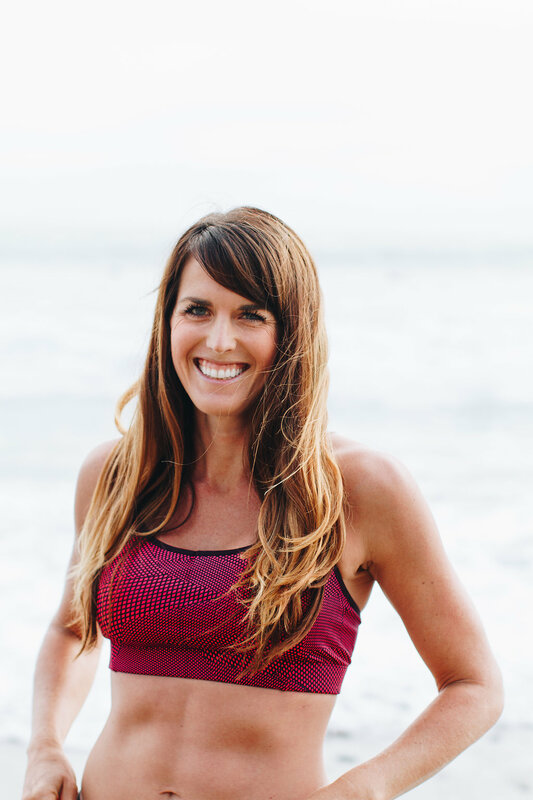 When Beachbody coaching was presented to me, I didn’t see what I had to lose, and decided to jump in as a way to make some extra income during my extended maternity leave. After a few months though, I truly saw the opportunity to potentially earn a full time income and even better, complete financial freedom, as a Beachbody coach, and I was ready to dive in. And by dive in, I just mean shift my mindset – I didn’t have the time to commit to it full time, but I started to focus little portions of my day on my business, anywhere from 15 minutes to an hour or so at a time, and it started to grow. Now here I am, about 1.5 years in and I’m amazed at how my business has grown with consistency and passion. I’m on track to earn a full time income this year working part time hours, but it is truly NOT all about the money – I feel fulfilled, motivated, excited, and energized by this opportunity. It’s not always easy, I’ve made sacrifices along the way, and there have been times I’ve wanted to quit, but I kept going because it’s worth it. I love this business! My supportive team has helped me tremendously and the community we’ve created together is one of friendship, positivity and support. Even though I am in business for myself and have no boss, it truly feels like a team effort. Cheers to 7 years of blogging, following my passion and taking big risks to find career fulfillment! My team is growing. If you’d like to learn more about how you can become a part-time online fitness coach with Beachbody on my team, please email me at fitnessfataleblog@gmail.com or fill out this application. You do NOT have to be a blogger to join – I can help you figure out the best way for you to run your business utilizing your personal strengths. Beachbody does not guarantee any level of success or income from the Team Beachbody Coach Opportunity. Each Coach’s income depends on his or her own efforts, diligence, and skill. See our Statement of Independent Coach Earnings for the most recent information on our Coaches’ actual incomes.